Participants were able to remotely cut a part at WARDJet’s production facility in Ohio from the show in Chicago! At the Build It! 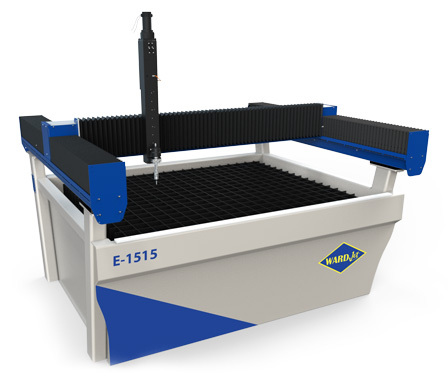 Challenge, students wrenched on the only build-it-yourself waterjet in the industry. They were able to build and rebuild the WARDKit 5x5 a total of six times. WARDJet walks away from the show humbled by the positive response we received and the sense that we provided a unique learning experience to both students and professionals alike. To get a more detailed account of the Build It! Challenge at IMTS 2016 take a look at this Build It! Challenge Follow Up Post. Also, see who took home the 2 free waterjets on both the pro and student sides below. Watch the action during the challenge! Build It! Challenge participants get hands on with waterjet. Founded in 1870 as one of the first technological institutions west of the Mississippi, Missouri University of Science and Technology aims to equip and inspire today’s students to meet tomorrow’s great global challenges. 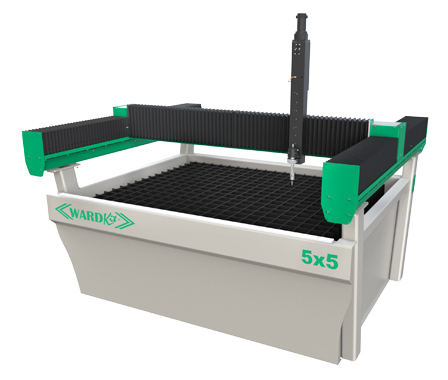 Missouri S&T will have their WARDKit 5x5 installed at the Rock Mechanics & Explosives Research Center (RMERC) where staff and students have worked with waterjet technology since 1968. Located in Leipsic Ohio, Laureate Machine and Automation offers several services including CNC Machining, Wire & Conventional EDM, Machine Design & Construction, Electrical Controls & Automation, and more.